Here is an easy way to configure encfs with dropbox that is compatible with boxcryptor. Boxcryptor makes Windows, Mac Android, and IOS applications to assist you in accessing data that you have stored in encfs. They do require that you create your encfs with some specific options: Cipher algorithm: AES, Plaintext or Stream encrypted filenames, No filename initialization vector chaining, No per-file initialization vectors, No external IV chaining, No block MAC headers, No per-block random bytes. 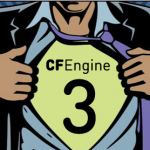 I thought it would be fun to write a CFEngine policy to set it up so here it is. 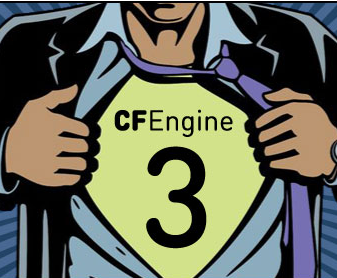 Just install CFEngine 3, configure your settings in the policy file and kick it off with cf-agent -KIf ~/.cfagent/inputs/boxcryptor_dropbox_encfs. (You will need the standard library, and the policy is classed for ubuntu, but it should be easy enough to add support for another distro). <a href="https://gist.github.com/raw/1926615/944c7cce07e27a0ea69a5af92d04d92b9a038024/boxcryptor_dropbox_encfs.cf" style="float:right;">view raw</a> <a href="https://gist.github.com/1926615#file_boxcryptor_dropbox_encfs.cf" style="float:right;margin-right:10px;color:#666">boxcryptor_dropbox_encfs.cf</a> <a href="https://gist.github.com/1926615">This Gist</a> is brought to you using <a href="http://en.bainternet.info/2011/simple-gist-embed"><small>Simple Gist Embed</small></a>. Thanks @highdraw for pointing out the mac installer.